Changes in Wisconsin law now allow pharmacists who have completed the proper training to administer injections beyond vaccines. Pharmacists who have completed ACPE accredited vaccine injection training need only to take a program like this to gain the accreditation necessary to administer non-vaccine injections. This 1 hour lecture, given at the 2017 PSW annual meeting will give you an overview of the updates in Wisconsin law and the information necessary to give you the ability to administer non-vaccine injections once you have successfully completed the course requirements. Developed & Conducted by the Pharmacy Society of Wisconsin in cooperation with the Division of Pharmacy Professional Development, School of Pharmacy, University of Wisconsin-Madison. Recent changes to Wisconsin law allow pharmacists to administer non-vaccine injections once they have completed the appropriate accredited instruction. A series of comprehensive instructional modules are being developed, but for those pharmacists who have completed vaccine administration training, completion of this one-hour presentation, recorded at the PSW Educational Conference on April 6, 2017, and learning assessment will allow pharmacists to administer IM and subcutaneous non-vaccine injections in Wisconsin. Pharmacists in all settings who wish to administer non-vaccine injections. 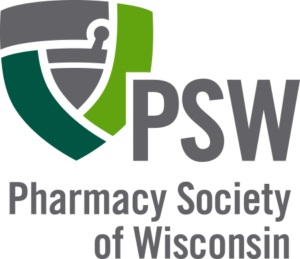 In support of improving patient care, this activity has been planned and implemented by the University of Wisconsin–Madison ICEP and the Pharmacy Society of Wisconsin. The University of Wisconsin–Madison ICEP is jointly accredited by the Accreditation Council for Continuing Medical Education (ACCME), the Accreditation Council for Pharmacy Education (ACPE), and the American Nurses Credentialing Center (ANCC), to provide continuing education for the healthcare team. The University of Wisconsin–Madison ICEP designates this a knowledge based activity for 1.0 hours or 0.1 CEUs of CPE credit. Credit can be earned by successfully completing the activity, the assessment and the evaluation. Credit will be provided to NABP CPE Monitor within 60 days after the activity completion.